Spring is almost here — time to wake up from my hibernation and get these little cubs of mine outside! 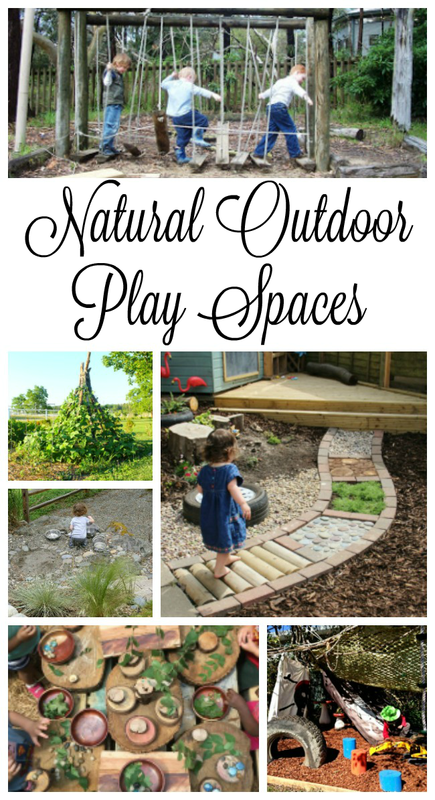 The warm sunshine never fails to make me want to spruce up our outdoor play spaces. The natural Mama in me is happy, the green Mama is content, the frugal Mama is thrilled, and the winter-dreading-but-trying-to-find-a-way-to-like-it-but-really-just-waiting-for-spring Mama is over the moon. I hope you find an idea or two just right for you and all the Mama types that are in you. 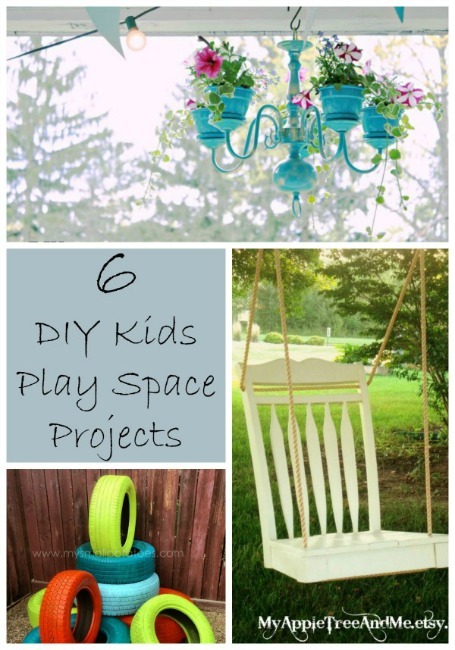 6 DIY Projects for Outdoor Play Spaces – I love these ideas for making the backyard into a kid-friendly play area! They’re all very reasonable do-it-yourself projects I think we could handle. That rocking chair turned swing is calling my name! 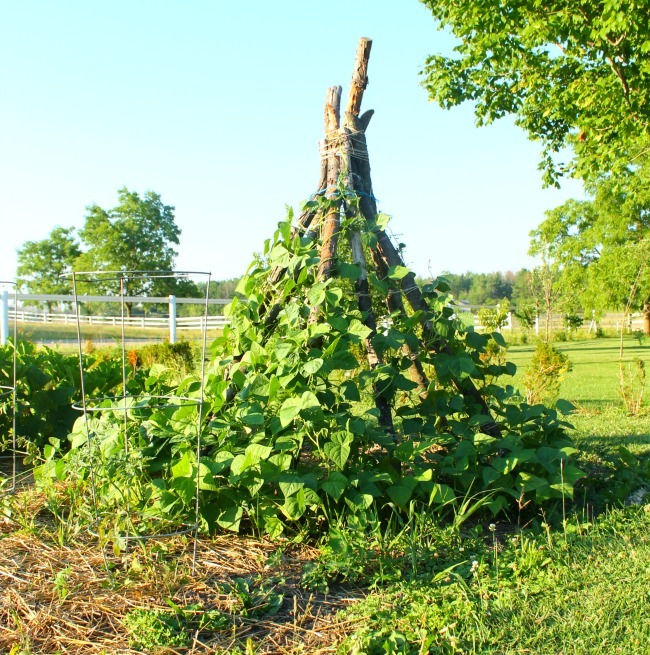 Pole Bean TeePee – It took some researching, and a little trial and error, but I love how our bean tee-pee turned out. 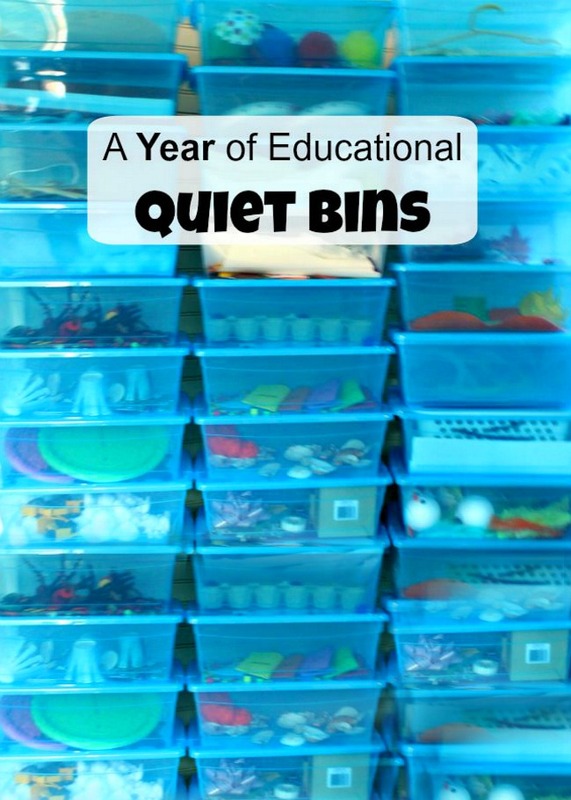 This works as a spot for reading, for quiet conversation, and what a great lesson about growing plants. It also just looks awesome too! 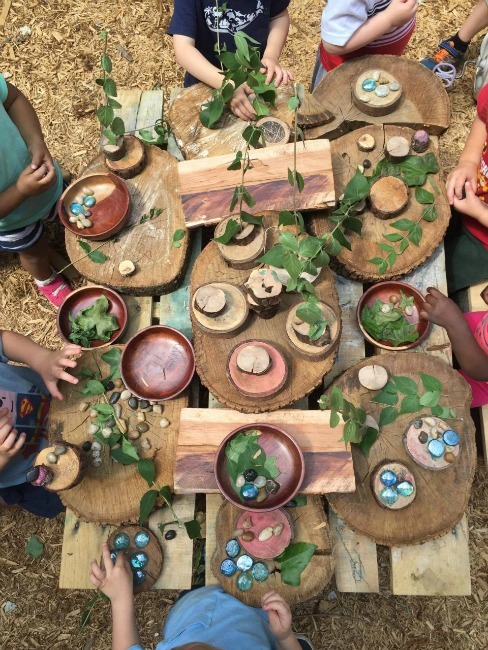 Mud Kitchen from Fazeley Preschool – Wow, this homemade mud kitchen is amazing! Can you imagine all of the mud pies and cupcakes that will be made in this kitchen? I love ideas like this because they are actually wonderful for all seasons – rainy day mudpies to snowy cupcakes! 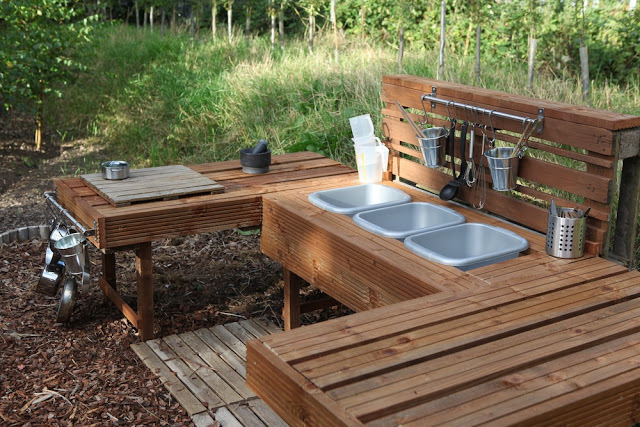 I know this mud kitchen would get a lot of use. State of the Art from Teacher Tom – There are so many inspirational photos in this gem of a post! The combination of tree stumps, an old boat, and the natural ground of this play area is so inviting to the kids. 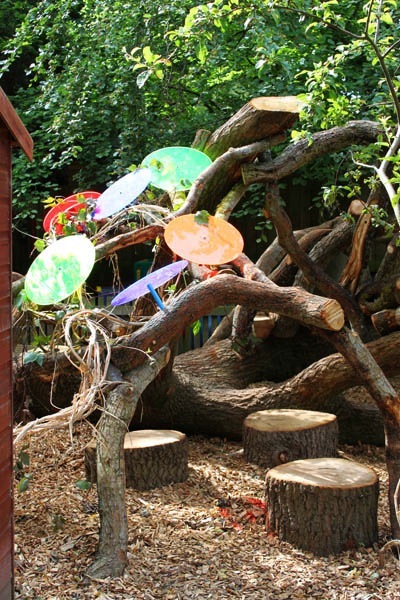 Natural Social Meeting Spot from ABC Does – I am sure amazing conversations take place in this little oak tree den. What a perfect spot for an outdoor lesson, too. I would just love to snuggle in and read a few lovely books myself! 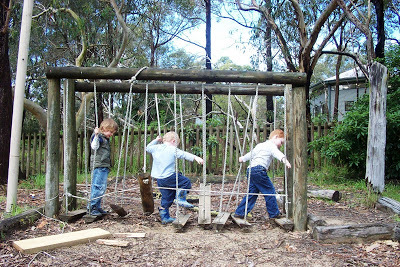 How to Create a Natural Outdoor Play Area from Let the Children Play – Use natural materials to create a small bridge for the kids outside. I can just hear the children talking about the adventures the bridge leads them to. Provocations on the Playground from The Willow School – Check out the huge “table” they’ve set up on the playground! It would be the perfect place for picnics on beautiful spring days, chatting with friends, and exploring small world play. 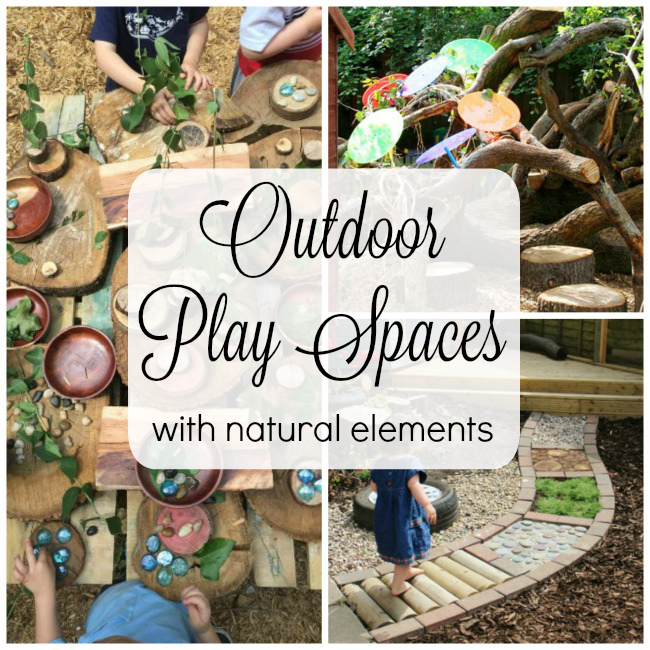 DIY Sensory Path from Play at Home Teacher – Use a variety of natural materials to engage the children’s sense of touch via their feet! 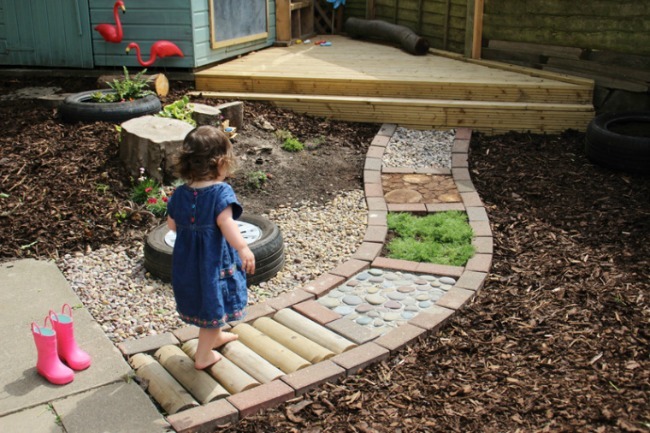 A sensory path like this would be such an asset to any outdoor play space. 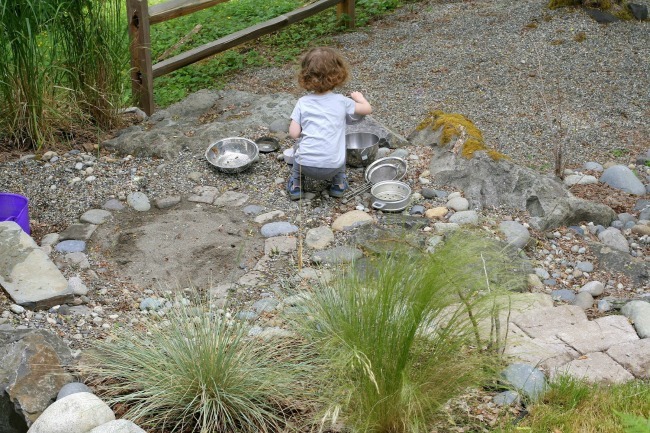 Natural Rock Play Space from Fun at Home with Kids – Incorporate natural elements like rocks, water, plants, and dirt, into outdoor play. 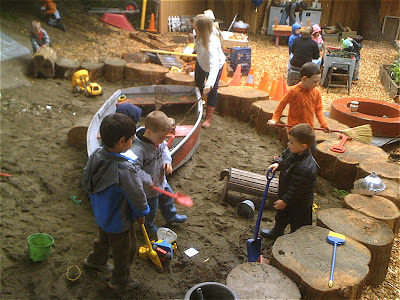 Children will have such fun engaging with their environment and coming up with all kinds of playful activities. 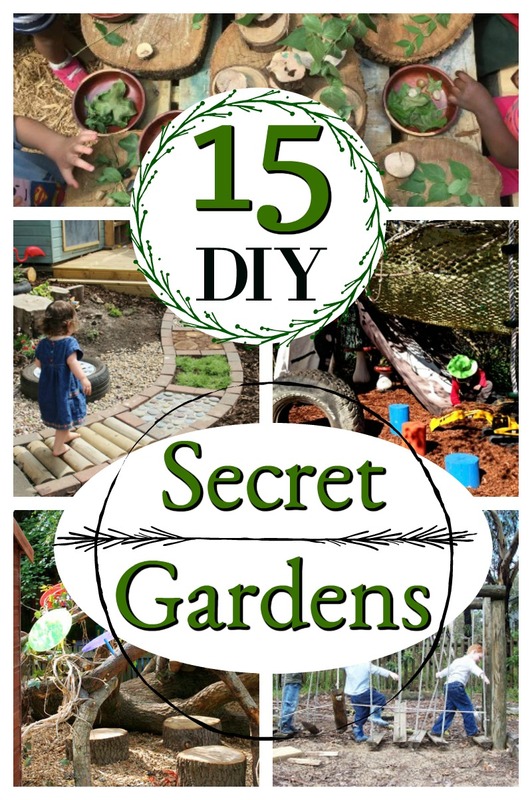 Pirate Hide-Away from Childhood 101 – Add a mixture of homemade and natural pieces to the backyard or playground to make this pirate’s haven. 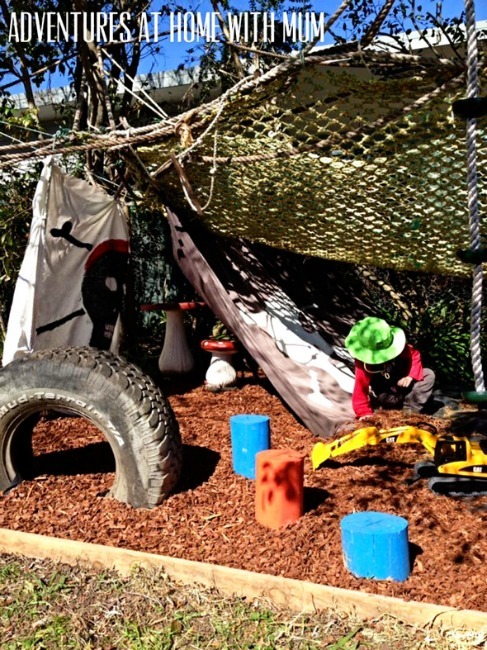 I’m sure it can adapted for all kinds of imaginative play, too! Are you still here – or have you grabbed the kids and run for the great outdoors already? It’s amazing what a new idea or two can do to freshen up a space. I suppose I should embrace the seasons in much the same way, letting the seasons change our play: spring getting out and muddy, summer embracing the sprinkler and heat, fall hiking and leaf crunching, and winter staying indoors and trying not too complain I’ll work on winter. 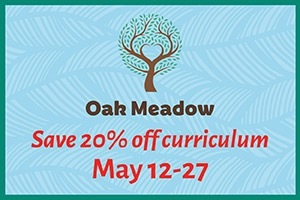 Happy summer friends! Thank you so much for reading. « Seed Germination for Kids – The Results! Hello, I came across your blog on Pinterest. The bean pole tee pee caught my eye, but I was pleasantly surprised when I saw the chair swing. This is my chair that I made for my Etsy shop! 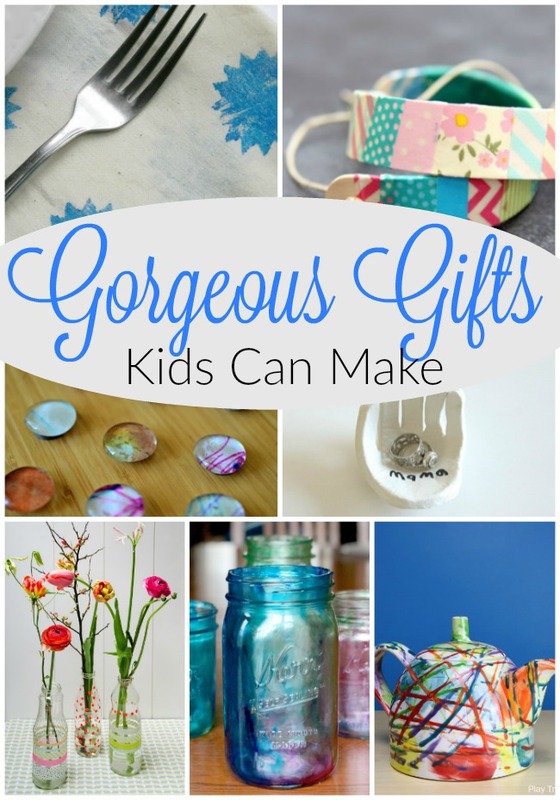 While my Etsy shop days have been replaced with life as a mom of 5, it made me smile to see that it has inspired you. Thank you for sharing all the lovely ideas. Wow Aly! What a small world – I love your chair swing! A mom of 5, you are remarkable!!! Thank you for taking the time to introduce yourself. If you ever start back up your Etsy shop please let me know!